The surprise success of the Switch has seen it receive numerous ports of current and last-gen titles, but Skyrim is perhaps the most significant and ambitious in terms of scale. Does Bethesda’s flagship adventure series hold up as a portable experience? For many years, it was a commonly-held belief that large-scale, epic adventures were unsuitable for handhelds. People insisted that handheld gamers needed to play bespoke, bitesize experiences while longer experiences should be left to the television. In the 90s right up until the launch of the Nintendo DS, there was a legitimate technical for this oft-held belief – the lack of a sleep mode meaning that players couldn’t simply stop playing when they needed to get off the bus. The PSP and DS introduced the ability to instantaneously put your console into a state of sleep allowing players to ‘pause’ the console state at will, yet that still seemingly did little to encourage developers to make larger-scale experiences. Nintendo finally shifted the goalposts themselves with The Legend of Zelda: Breath of the Wild which, while hardly the first large scale adventure on a handheld, was the first epic to be promoted as both a living room game and a handheld game at the same time. Bethesda have pushed things even further with the Switch port of The Elder Scrolls: Skyrim and this game is the perfect advert for the suitability of a massive adventure game on a handheld. Skyrim itself is 6 years old so this review isn’t going to go into too much detail on the game itself. 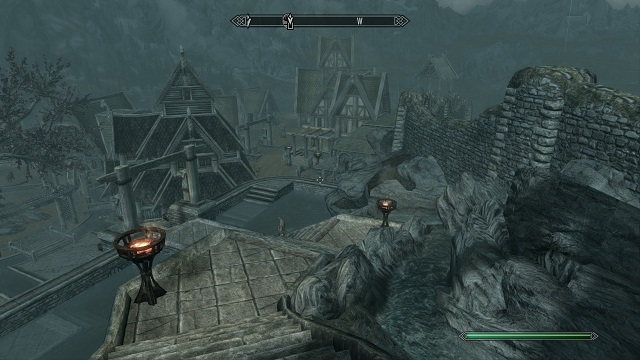 To give an overview, Skyrim is the latest single player entry in Bethesda’s flagship series and serves as the direct sequel to 2006’s Oblivion. Whereas many rued Oblivion’s shift back to a traditional fantasy setting after the rather ‘bizarre’ world found in its predecessor Morrowind, Skyrim shakes things up by focusing on the northern, snowy land of Skyrim. The story sees the Nords fight to reclaim their homeland not only from the Empire but also other natives who may not agree with the Nord claim. 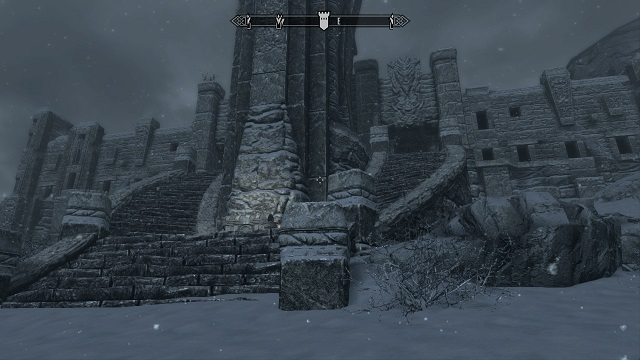 Gameplay is in rather traditional Elder Scrolls vein being a first person open world scattered with dungeons, but with the key addition of dragons. While it won’t convert people who prefer RPGs that are more driven by characters and story than freedom, it is one of the most accessible examples of the open world RPG genre. Let’s focus on the Switch port itself, however. This is the second game published for the Switch after id Software’s Doom. While Doom pushed the limits of the Switch a bit too hard and suffered from compromises as a result, Skyrim fairs much better. As a port of 2016’s Special Edition of the game, all of the expansions are included with a significant jump in graphical fidelity over the 360 and PS3 releases. More detail textures, better lighting and shadows are present and it all looks lovely. It perhaps doesn’t compare with the PS4 and Xbox One releases, but it still represents a sizeable leap over the previous-gen outings that legitimately looks good on the big screen as well as handheld mode (unlike the aforementioned Doom). In docked mode, the game operates at a very nice 900p which is in line with Nintendo’s own efforts as well as a large amount of Xbox One games. In handheld mode, things are a little more uncertain. 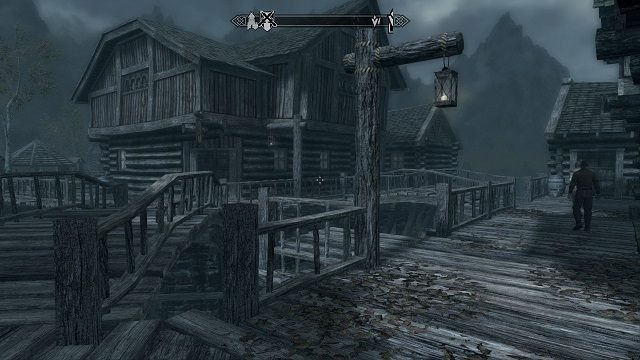 As with so many games these days, Skyrim utilises a dynamic resolution. Curiously however, it only seems to switch between two specific resolutions, the native 1280×720 down to 896×720 under load. A reduction in horizontal resolution is generally difficult to spot, though it does seem to play havoc with the game’s internal scaler which can take a few moments to optimise to the new resolution. Compromises are also made with the view distance which are further exacerbated in handheld mode, but overall it’s difficult to overstate how beautiful Skyrim still looks as a portable game and still represents an upgrade for people dipping into the game again. Another question mark around this game is simply how well the game holds up in 2017. 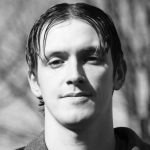 Six years is a long time in the video game industry and even the best games are quickly surpassed in a medium which relies so much on the evolution of the underlying technology. This question is all the more relevant in the wake of CD Project Red’s excellent The Witcher 3 and even Nintendo’s own recent The Legend of Zelda: Breath of the Wild. The comparison with The Witcher 3 is somewhat moot given there’s little sign that CD Project Red are going to embrace the Switch any time soon, but the comparison with Breath of the Wild serves to highlight what a fantastic job Bethesda did way back in 2011. Zelda is an amazing game, but certainly more modest in scale. It’s a huge world, yet it’s difficult to get too lost in the side quests before you quickly return to its rather mediocre main storyline. 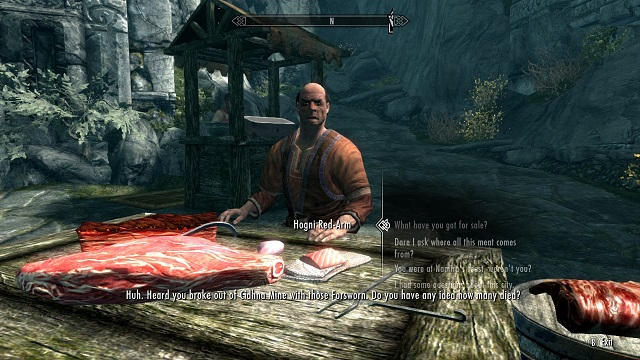 With Skyrim, it’s entirely possible that you will forget all about the main plot line completely due to the sheer depth of things to do in the world and the scale of its side quests. Players will likely clock up hundreds of hours while barely making any progress in the main storyline. Zelda takes you on an adventure whereas Skyrim is a world to disappear into, and in this sense Skyrim remains king. It’s incredible to imagine such a vast world being stored on such a small cartridge. Skyrim is a landmark release for the Nintendo Switch. A significantly more ambitious title world than Breath of the Wild, yet with a greater chance of achieving platform parity than an overreach like Doom, Skyrim not only shatters the myth than large scale games are best left to the big screen, but also serves as a fine example of the Switch’s ability to handle multiplatform game. The fact that Skyrim is also an excellent game is the icing on the cake.